The dividend records of many companies in this sector tend to be consistent and, in many cases, quite attractive. If you are looking for consistent capital appreciation opportunities, I believe that the Energy Minerals Sector may not provide a fertile field. FAST Graphs Analyze Out Loud Video on five candidates. The Energy Minerals Sector is comprised of 619 companies. And, as it is with every sector, they come in all shapes, sizes and colors. However, a common attribute that is shared by most companies in this sector is a significant amount of cyclicality in their operating results, i.e., earnings and cash flows. As a result, capital appreciation results can be both unpredictable and even poor for extended periods of time. On the other hand, the dividend records of many companies in this sector, especially the Major Integrated Oil Producers tend to be more consistent and, in many cases, quite attractive. Consequently, for the most part, companies in this sector tend to be more appealing to the dividend-oriented investor. 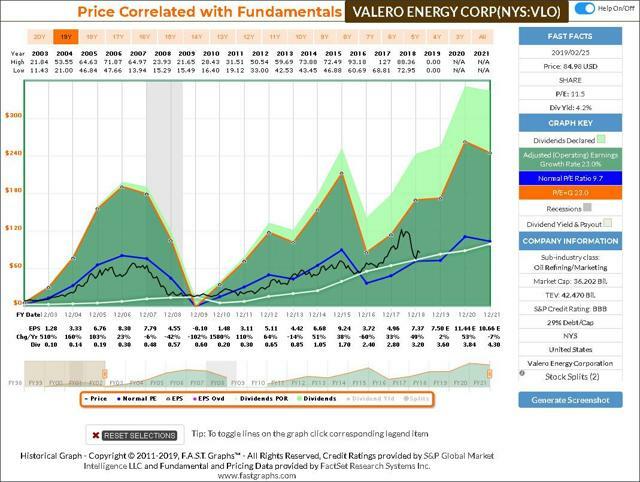 In addition to good records of dividend growth, there are many opportunities to invest in Energy Minerals companies that offer above-market dividend yields. And as you will see in the portfolio review below, the dividend yields of most of the companies featured in this article are significantly above-market average. 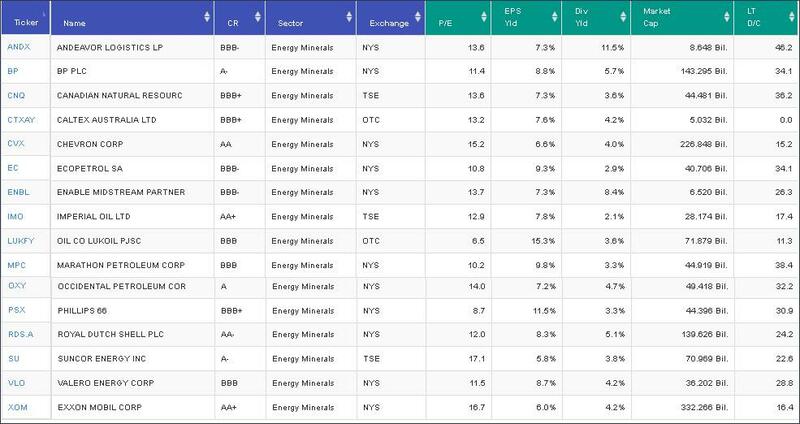 Additionally, it would be valuable to recognize that FactSet only provides four primary subsectors to the Energy Minerals Sector. However, with this article, I am only presenting companies in three of the four subsectors. My screen did not identify any company in the coal subsector that met my criteria. 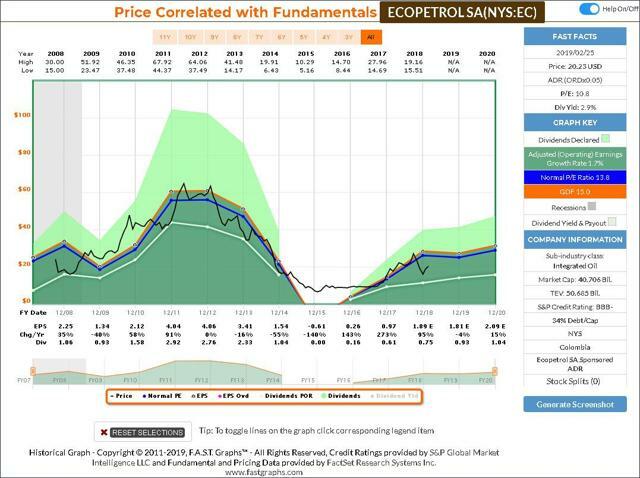 On the other hand, there were seven Integrated Oil Companies, six Oil Refining/Marketing and only two Oil and Gas Production companies that my screen identified as attractively valued. Furthermore, there is one interesting attribute that I identified with the Integrated Oil Companies that is important to recognize. The operating performance (i.e. earnings) of the major integrated oil companies tend to be highly correlated and sensitive to the price of crude oil. 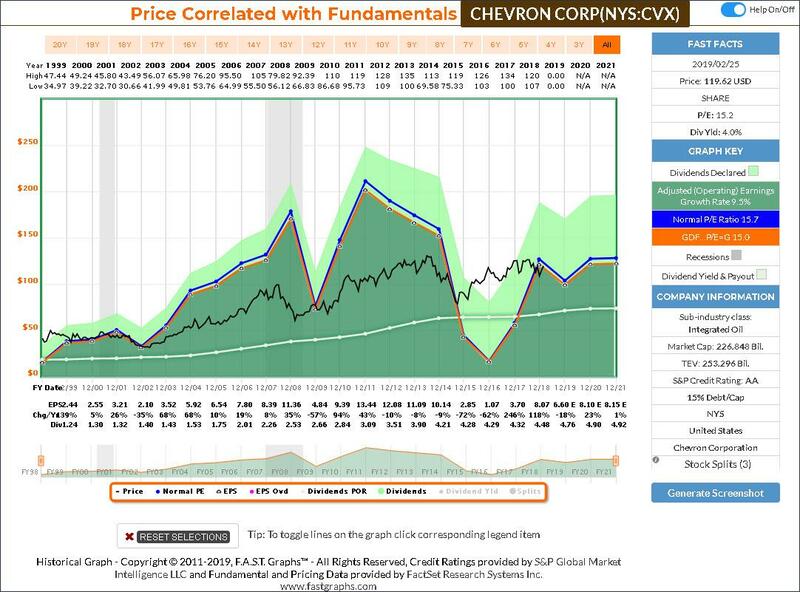 In other words, where the price of crude oil goes the earnings of these companies tend to follow. 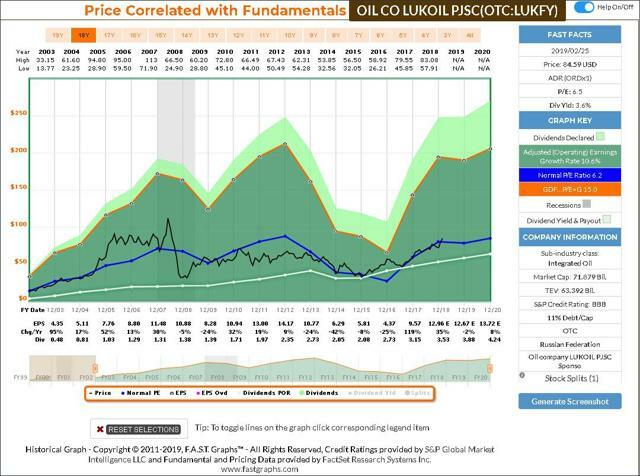 To illustrate the high correlation and sensitivity to oil prices for the integrated oil companies I offer the following two graphs. 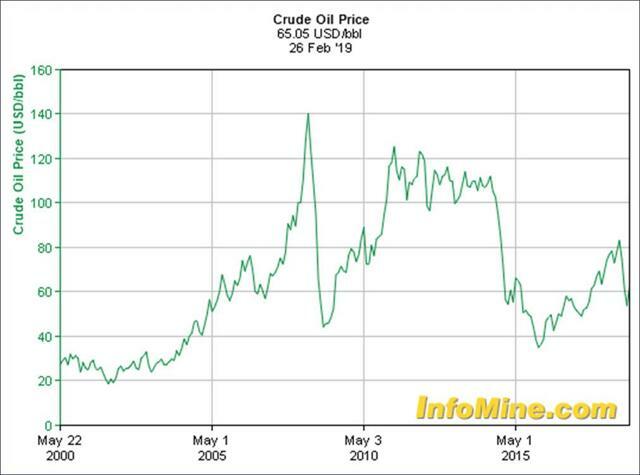 The first is the price of crude oil since calendar year 2000. With the second graph I offer the operating earnings of Exxon Mobil Corp. over essentially the same timeframe. 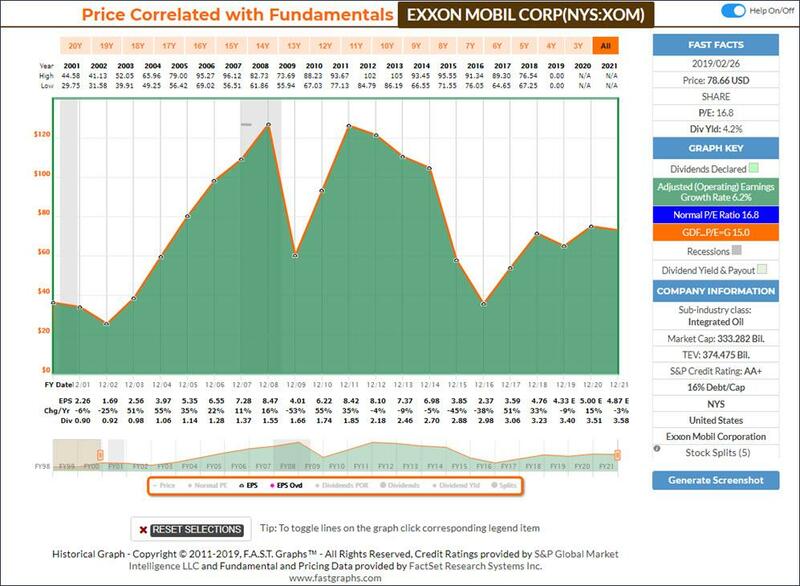 Note that Exxon Mobil Corp.’s earnings almost perfectly correlate to and follow the price of crude. This partially explains the cyclicality that I referenced above. 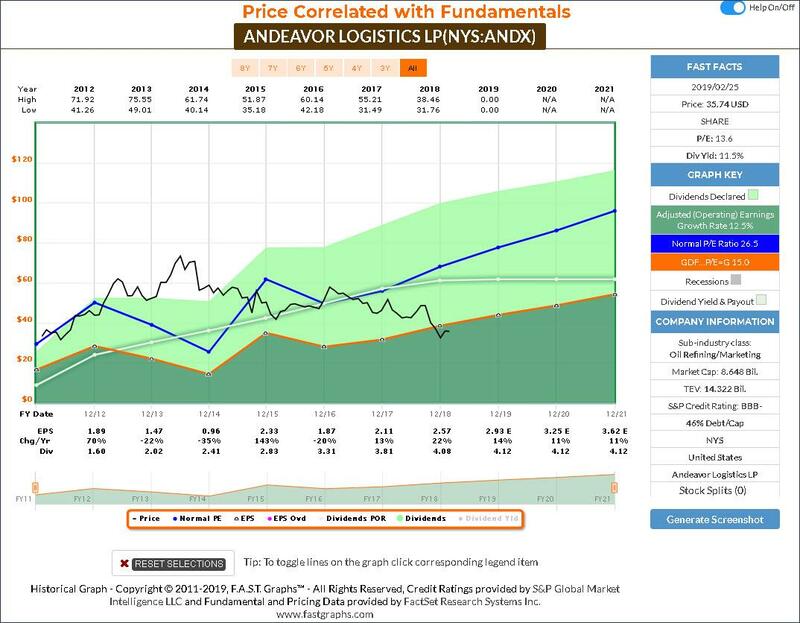 This is part 8 of a series where I have conducted a simple screening looking for value over the overall market based on industry classifications and subindustry classifications reported by FactSet Research Systems, Inc. In part 1 found here I covered the Consumer Services Sector. In part 2 found here I covered the Communication Sector. 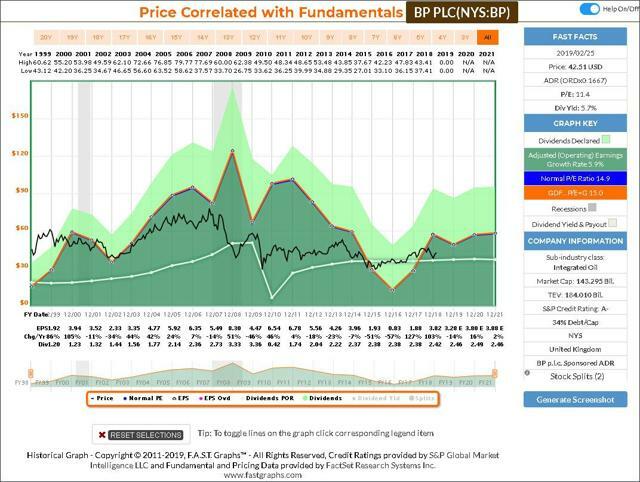 In part 3 found here I covered the Consumer Durables Sector and its many diverse subsectors. In part 4 found here I covered Consumer Nondurables. 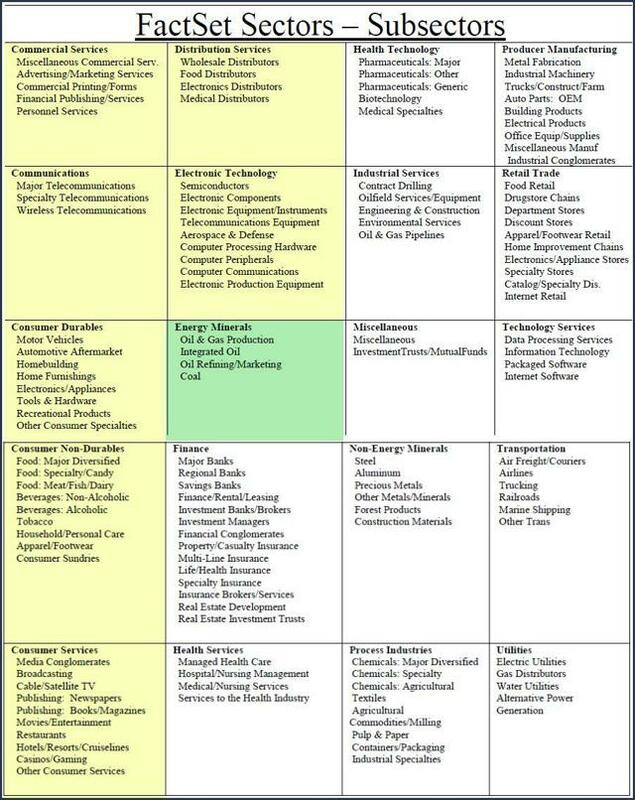 In part 5 found here I covered companies in the Consumer Services Sector. In part 6 found here I covered the Distribution Services Sector. In part 7 found here I covered the Electronic Technology Sector. In this part 8 I will be covering the Energy Minerals Sector. The following screenshots provide a quick look at each of the 16 candidates screened out of over 19,000 possibilities. 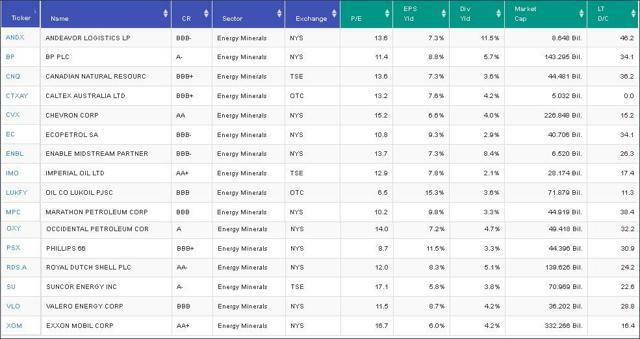 However, there are only 619 companies categorized as Energy Minerals, and these 16 were the only ones I was comfortable presenting in this article. The company descriptions are provided courtesy of the Wall Street Journal. In the FAST Graphs analyze out loud video that follows the screenshots, I will provide additional details and thoughts on the possible attractiveness as well as the potential negatives of each of these research candidates. Andeavor Logistics LP engages in the ownership, operation, development, and acquisition of crude oil and refined products logistics assets. It operates through the following segments: Terminalling and Transportation, Gathering and Processing, and Wholesale. The Terminalling and Transportation segment consists of regulated common carrier products pipeline running from Salt Lake City, Utah to Spokane, Washington and a jet fuel pipeline to the Salt Lake City International Airport. The Gathering and Processing segment includes crude oil and natural gas pipeline gathering systems in the Bakken Shale/Williston Basin area of North Dakota and Montana (the "Bakken Region") and the Green River Basin, Uinta Basin and Vermillion Basin in the states of Utah, Colorado and Wyoming (the "Rockies Region"), the Delaware Basin in the Permian Basin area of West Texas and Southern New Mexico, the four corners area of Northwestern New Mexico, and consists of crude trucking operations and gas processing and fractionation complexes. The Wholesale segment consists of bulk petroleum distribution facilities and a fleet of refined product delivery trucks. The company was founded on December 3, 2010 and is headquartered in San Antonio, TX. BP Plc operates as an integrated oil and gas company worldwide. It operates through three segments: Upstream, Downstream and Rosneft. The Upstream segment engages in the oil and natural gas exploration, field development, and production; midstream transportation, and storage and processing; and marketing and trade of natural gas, including liquefied natural gas, and power and natural gas liquids. It also owns and manages crude oil and natural gas pipelines; processing facilities and export terminals; and LNG processing facilities and transportation, as well as NGL extraction business. The Downstream segment refines, manufactures, markets, transports, supplies, and trades in crude oil, petroleum, and petrochemicals products and related services to wholesale and retail customers. It offers lubricants and related products under the Castrol, BP, and Aral brands to the automotive, industrial, marine, and energy markets; and petrochemicals products, such as purified terephthalic acid, paraxylene, acetic acid, olefins and derivatives, and specialty petrochemicals products. The Rosneft segment engages in the exploration and production of hydrocarbons in the United States, Canada, Vietnam, Venezuela, Brazil, Algeria, the United Arab Emirates, Turkmenistan, and Norway; and offers jet fuel, bunkering, bitumen, and lubricants. It also produces bioethanol, sugar, and biobutanol; exports power to the local grid; transports hydrocarbon products through shipping and chartering services. BP was founded by William Knox D'Arcy on April 14, 1908 and is headquartered in London, the United Kingdom. 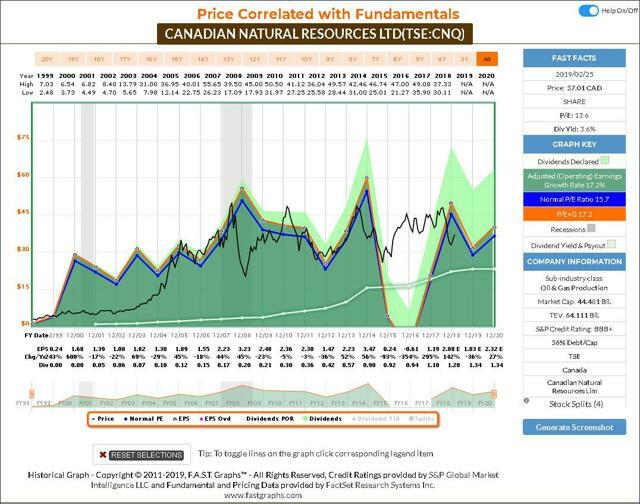 Canadian Natural Resources Ltd. is a senior oil and natural gas production company, which engages in the exploration, development, marketing, and production of crude oil and natural gas. It operates through the following segments: North America; North Sea; Offshore Africa; Oil Sands Mining and Upgrading; Midstream; Abandonments; and Head Office. The company was founded on November 7, 1973 and is headquartered in Calgary, Canada. Caltex Australia Ltd. is a transport fuel supplier, convenience retailer and an integrated oil refining and marketing company. The company operates through the following segments: Supply & Marketing and Lytton. The Supply and Marketing segment promotes and sells Caltex fuels, lubricants, specialty products and convenience store goods through a national network of Caltex. The Lytton segment refines crude oil into petrol, diesel, jet fuel and many specialty products such as liquid petroleum gas. 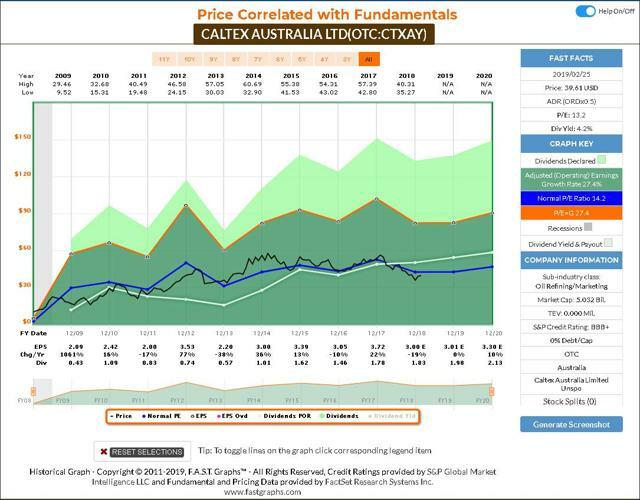 Caltex Australia was founded in 1900 and is headquartered in Sydney, Australia. Chevron Corp. engages in the provision of administrative, financial management, and technology support for energy and chemical operations. It operates through the Upstream and Downstream segments. The Upstream segment consists of exploration, development, and production of crude oil and natural gas; liquefaction, transportation, and regasification associated with liquefied natural gas; transporting crude oil by major international oil export pipelines; processing, transporting, storage, and marketing of natural gas; and a gas-to-liquids plant. The Downstream segment comprises refining of crude oil into petroleum products; marketing of crude oil and refined products; transporting of crude oil and refined products by pipeline, marine vessel, motor equipment, and rail car; and manufacturing and marketing of commodity petrochemicals, plastics for industrial uses, and fuel and lubricant additives. The company was founded in 1906 and is headquartered in San Ramon, CA. Ecopetrol SA engages in the exploration, development, and production of crude oil and natural gas. It operates its business through the following segments: Exploration and Production; Transportation and Logistics; and Refining, Petrochemicals, and Biofuels. The Exploration and Production segment engages in the oil and gas exploration and production activities. The Transportation & Logistics segment comprises of pipelines and other transportation activities. The Refining, Petrochemicals, and Biofuels segment involves refining activities and its products include motor fuels, fuel oils, and petrochemicals. The company was founded in 1948 and is headquartered in Bogota, Colombia. The Gathering and Processing segment provides natural gas gathering, processing, and fractionation services, as well as crude oil gathering services for its producer customers. The Transportation and Storage segment offers interstate and intrastate natural gas pipeline transportation and storage services to natural gas producers, utilities, and industrial customers. Enable Midstream Partners was founded in May 2013 and is headquartered in Oklahoma City, OK.
Imperial Oil Ltd. engages in the provision of integrated oil business. It operates through the following segment: Upstream, Downstream, and Chemical. The Upstream segment includes the exploration and production of crude oil and its equivalent, and natural gas. The Downstream segment operations consist of the refining of crude oil into petroleum products. The Chemical segment manufactures and market hydrocarbon-based chemicals, and chemical products. The company was founded on September 8, 1880 and is headquartered in Calgary, Canada. Oil Co. LUKOIL PJSC engages in the exploration, production, refining, marketing and distribution of oil. It operates through the following segments: Exploration & Production; Refining, Marketing & Distribution; and Corporate & Other. The Exploration & Production segment explores, develops and produces crude oil and gas. The Refining, Marketing & Distribution segment processes crude oil into refined products, purchases, sells and transports crude oil and refined petroleum products, refines and sells chemical products, produces steam and electricity, distributes them and provides related services. The Corporate & Other segment includes activities of the company's and businesses beyond the group's traditional operations. The company was founded on November 25, 1991 and is headquartered in Moscow, Russia. 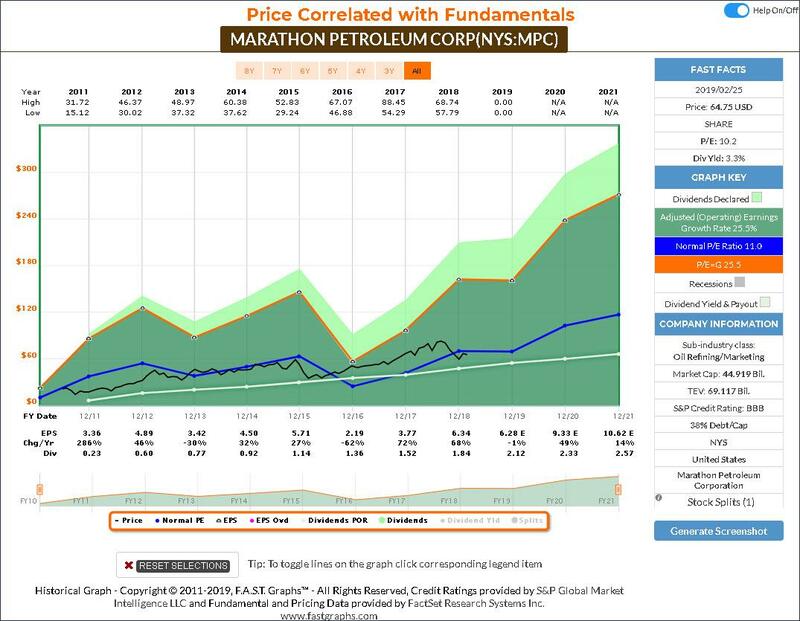 Marathon Petroleum Corp. is an independent petroleum product refiners, marketers and transporters in the United States. The company operates through the following segments: Refining & Marketing, Speedway and Midstream. The Refining & Marketing segment refines crude oil and other feedstocks at its refineries in the Gulf Coast and Midwest regions of the United States, purchases ethanol and refined products for resale and distributes refined products through various means, including barges, terminals and trucks that the company owns or operates. The Speedway segment sells transportation fuels and convenience products in the retail market in the Midwest, primarily through Speedway convenience stores. The Midstream segment gathers, processes and transports natural gas; gathers, transports, fractionates, stores and markets NGLs and transports and stores crude oil and refined products. Marathon Petroleum was founded in 1887 and is headquartered in Findlay, OH. 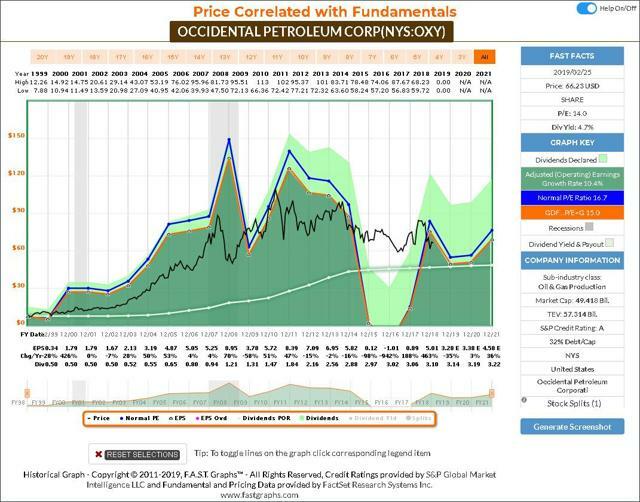 Occidental Petroleum Corp. engages in the exploration and production of oil and natural gas. It operates through the following segments: Oil and Gas, Chemical, and Midstream and Marketing. The Oil and Gas segment explores for, develops and produces oil and condensate, natural gas liquids and natural gas. The Chemical segment manufactures and markets basic chemicals and vinyls. The Midstream and Marketing segment gathers processes, transports, stores, purchases and markets oil, condensate, NGLs, natural gas, carbon dioxide and power. It also trades around its assets, including transportation and storage capacity. The company was founded in 1920 and is headquartered in Houston, TX. Phillips 66 engages in the processing, transportation, storage, and marketing of fuels and other related products. The company operates through the following segments: Midstream, Chemicals, Refining and Marketing & Specialties. The Midstream segment provides crude oil and refined products transportation, terminaling and processing services, as well as natural gas, natural gas liquids and liquefied petroleum gas transportation, storage, processing and marketing services. The Chemicals segment produces and markets petrochemicals and plastics on a worldwide basis. The Refining segment Refines crude oil and other feedstocks into petroleum products such as gasoline, distillates and aviation fuels. The Marketing and Specialties segment purchases for resale and markets refined petroleum products such as base oils and lubricants, as well as power generation operations. Phillips 66 was founded on April 30, 2012 and is headquartered in Houston, TX. 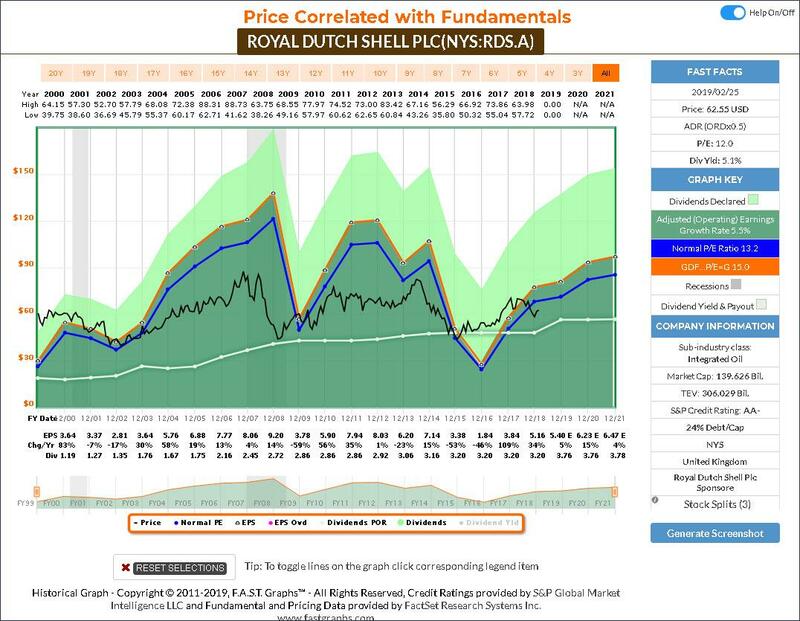 Royal Dutch Shell Plc engages in the oil and natural gas production. It operates through the following segments: Integrated Gas, Upstream, Downstream, and Corporate. The Integrated Gas segment manages liquefied natural gas activities and the conversion of natural gas into gas to liquids fuels and other products. The Upstream segment manages the exploration for and extraction of crude oil, natural gas, and natural gas liquids. The Downstream segment manages different oil products and chemical activities as part of an integrated value chain, including trading activities, what turns crude oil and other feedstock into a range of products which are moved and marketed around the world for domestic, and industrial and transport use. The Corporate segment comprises holdings and treasury, self-insurance activities, and headquarters and central functions of the company. The company was founded in February 1907 and is headquartered in The Hague, Netherlands. Suncor Energy, Inc. is an integrated energy company, which develops petroleum resource basins. Its activities include oil sands development, and upgrading, onshore and offshore oil and gas production, petroleum refining, and product marketing. The company operates through the following business segments: Oil Sands, Exploration & Production and Refining & Marketing. The Oil Sands segment refers to the operations in the Athabasca oil sands in Alberta to develop and produce synthetic crude oil and related products through the recovery and upgrading of bitumen from mining and in situ operations. The Exploration and Production segment includes offshore activity in East Coast Canada the exploration and production of crude oil and natural gas in the United Kingdom, Norway, Libya, and Syria, and exploration and production of natural gas and natural gas liquids in Western Canada. The Refining & Marketing segment is the refining of crude oil products, and the distribution and marketing of these and other purchased products through retail stations located in Canada and the United State, as well as a lubricants plant located in Eastern Canada. The company was founded in 1917 and is headquartered in Calgary, Canada. Valero Energy Corp. engages in the manufacture and marketing of transportation fuels and other petrochemical products. It operates through the following business segments: Refining, Ethanol, and VLP. The Refining segment includes refining operations, associated marketing activities, and logistics assets that support its refining operations. 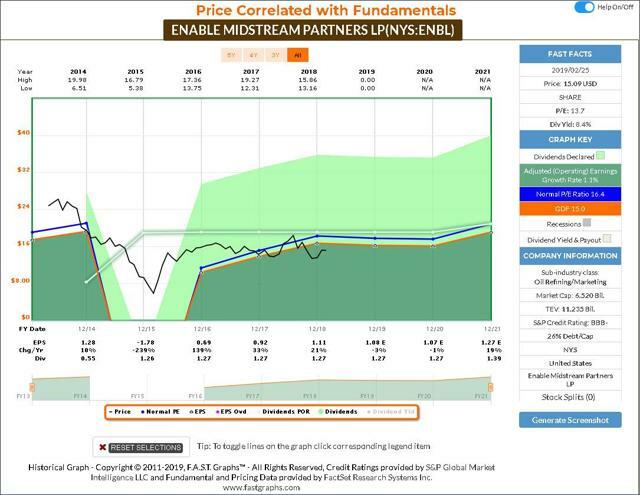 The Ethanol segment includes its ethanol operations, associated marketing activities, and logistics assets that support its ethanol operations. The VLP segment provides transportation and terminaling services to the refining segment. The company was founded on January 1, 1980 and is headquartered in San Antonio, TX. Exxon Mobil Corp. engages in the exploration, development, and distribution of oil, gas, and petroleum products. It operates through the following segments: Upstream, Downstream, and Chemical. The Upstream segment produces crude oil and natural gas. The Downstream segment manufactures and trades petroleum products. The Chemical segment offers petrochemicals. The company was founded by John D. Rockefeller in 1882 and is headquartered in Irving, TX. Although there are 16 research candidates that identified as attractively valued in the Energy Minerals Sector, there tend to be many similarities within each of the three subsectors covered. Consequently, for brevity’s sake I will only be covering 2 companies in the Integrated Oil subsector (Oil Co Lukoil and Exxon Mobile), 2 companies in The Oil Refining/Marketing subsector (Andeavor and Marathon) and only 1 in the Oil and Gas Production subsector (Canadian Natural Resources) in the following video. If you are looking for consistent capital appreciation opportunities, I believe that the Energy Minerals Sector may not provide a fertile field. However, if you’re looking for above-average and growing dividend yield, there may be opportunities within this sector that will be of great appeal. 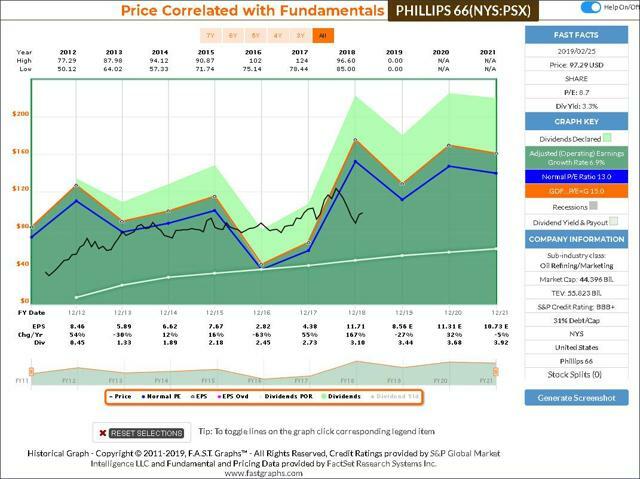 Nevertheless, due to the cyclical nature of the operating results of most companies in this sector, I believe focusing on valuation is even more critical. 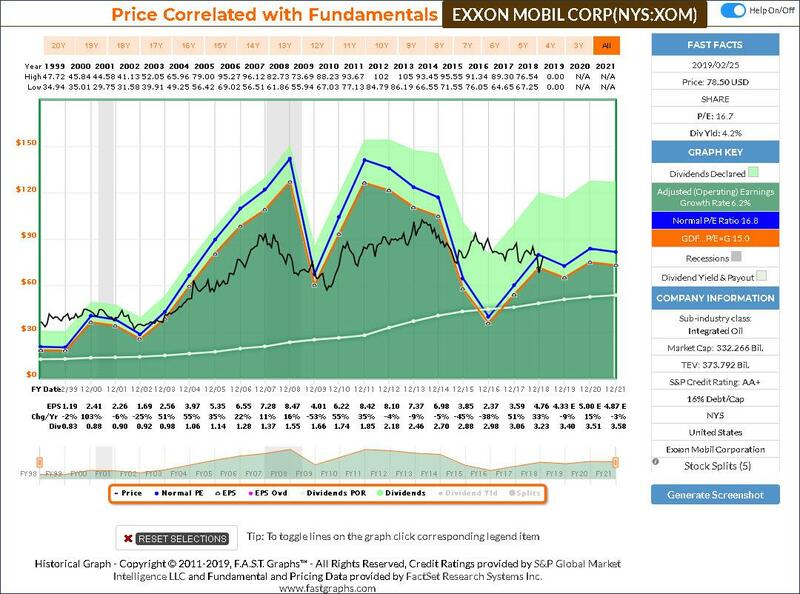 This will help soften the blow of inconsistent capital appreciation results, and enhance the current and future dividend income potential as well. As it is with most sectors, when evaluating the Energy Minerals Sector, I believe it’s vital to understand the nature of the beast. Disclosure: I am/we are long CVX,XOM. I wrote this article myself, and it expresses my own opinions. I am not receiving compensation for it. I have no business relationship with any company whose stock is mentioned in this article.